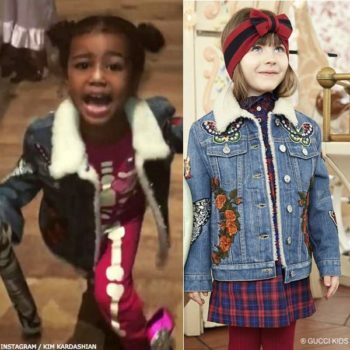 Love this fabulous girl mini-me pink varsity jacket from KARL LAGERFELD Kids, made in a double layer of lightweight, silky smooth satin. Bold black trim and slanted pockets decorate this versatile jacket with the designer's name is embroidered in bold black lettering on the back. For boys, I love this striped cotton jersey t-shirt from KARL LAGERFELD Kids, with black logo print on the front.